Item Description: This is corporate surplus in good condition. 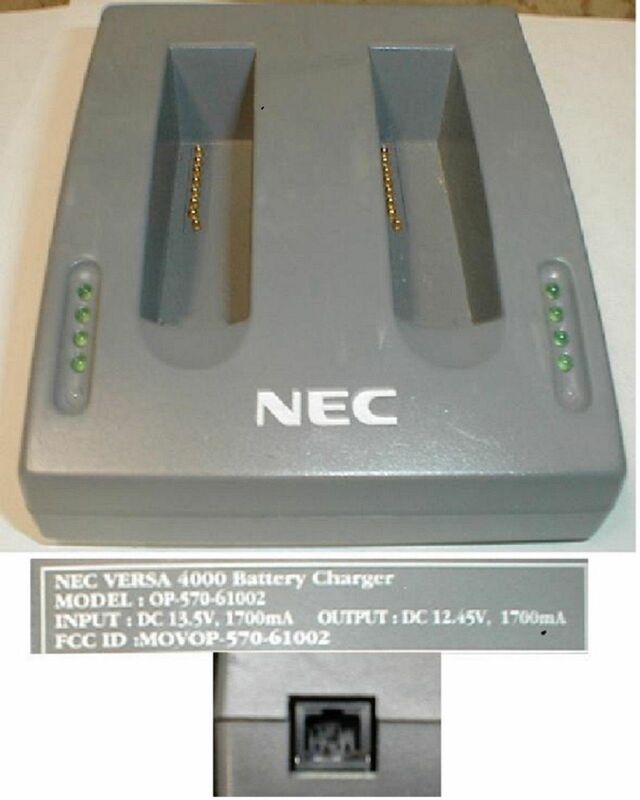 Dual Battery charger for the NEC Versa 6000 series notebooks. Unit has been test to show power. Unit NOT tested to charge batteries, as I dont have any to test with. but based on sourcing, i would expect it to work just fine. 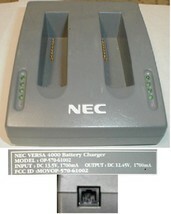 Charger Unit: input: 18.5vdc 1.7a max. Charger self indicates this should be used with op-570-62002 or ADP-72 included - - -Unit covered under my RETURN POLICY.- - - Are you looking for other hard to find items? Check out my Store! Concerning my packaging: I Recycle. The appearance of recycled material should not reflect on it's ability to resist damage. Shipping for this item will be Calculated based on Zip Code for CONTINENTAL U.S. Overseas: International rates will apply. As usual, multiple items are combined to save on handling fees; 5 Or more items triggers additional shipping discounts! For this item, I ask 50 per added item instead of most others full handling! General Notes And Other Considerations: Thanks for looking! Please see my other Items. Don't see it? Please Ask! I subscribe to the Five Star Service Guarantee. Let ChippiesAvalanche be your source for Recycled, Refurbished and Reused Electronic and Computer items. ChippiesAvalanche has over 35 years experience with Electronics, computers and thier peripherals. with over 146 tons of computer equipment recycled, diverted from landfills. Add to that, over 4500 sales . Please remember to check out our store! ChippiesAvalanche IS a green company. ChippiesAvalanche - Closing the Recycling loop. You too can help save our planet by buying from and supporting a company like ChippiesAvalanche. Thank You, for looking.